How to Plan a Slumber Party Kids Will Love! How to Plan a Slumber Party Kids Love! These tips for how to plan a slumber party kids will create the perfect sleepover to delight your child and their friends. It is becoming more and more popular with kids these days to hold sleep over or slumber parties with their friends. It isn’t just girls anymore, although they like it the most. Pillow fights, scary movies, staying up late – all of these things can happen at a slumber party. It’s like camping out in the comfort of your own home. And, it keeps the kids where you can watch them while they still have fun. But, you still have to do some preparation so the night will be a success. Before you say yes to the sleepover, in this section there are a few tips for you to bear in mind when planning the sleepover. How to throw the best sleepover ever. Having all those kids in one place is not easy. These tips will make it more manageable. Most slumber parties take place over a weekend because kids and parents have the chance to sleep in the next day. Also, if a child’s parent wants to have a night out, they can plan too. Holidays are a possibility for you as well. Since they are spending the night, kids will need more than the clothes on their back when they arrive. To help the kids make sure they have everything, include a list as an insert. Some particulars: toothbrush, sleeping bag, hygiene products and an extra set of clothing for the next day. So your entire house isn’t invaded (especially if you have other kids), allow party guests to have their fun in designated rooms, one being the birthday kid’s bedroom and the family room or the den. It’s okay if everyone shares the kitchen. Kids will be kids, especially when they are teenagers. Limit the temptation to do something naughty by restricting certain channels on the television and using parental controls to restrict certain websites on computers in common areas. This makes entertainment easier. Kids can wear pajamas that play to the theme your kid has chosen. Also games and food can be tailored as well. For example, if the theme for a boy’s slumber party is pirates, they can watch pirate flicks, dress in pirate costumes; eat food that looks like pirate fare and the like. Even decorations can resemble a ship. Other theme ideas: princess party, dress up, cowboys, sports themes, fashion and fairy tale or Disney theme. It all depends on the age of the child hosting the party. This is for safety. No cooking after certain hours and no leaving the house after the parents go to bed. Sleepovers can be a lot of fun. As a parent, make sure that once you start using these how to plan a slumber party kids are safe so that they can simply enjoy the night. Young kids often create memories that last their entire lifetimes by having slumber parties with friends when they’re young. Both boys and girls can have sleepovers. Below are some ideas for creating fun slumber parties for your kids. Movie nights are often make great slumber parties for both boys and girls. You can pick out the movies before the kids arrive, or you can load them up and go to the video store and let them pick out 3-4 movies on their own. Just make sure you approve of them first. Serving the kids popcorn and drinks can add to the overall presentation of the movie-night slumber party. Young girls will love the idea of coming to a spa-themed slumber party. To make this type of party a success, you’ll need to have facial masks, nail polish, make-up and other fun “spa-like” items available for them to use. 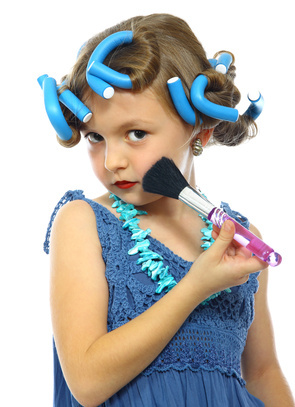 Depending on the age of the girls, you may feel comfortable letting them do one another’s hair using curling irons and hairspray. For the ultimate thrill, make the girls alcohol-free pina coladas, margaritas and strawberry daiquiris. Boys especially love the camp out sleepover parties. Allowing the kids to “camp out” in the backyard is often a lot of fun, especially if you have a tent that you can set up for them. For dinner, fire up the grill and cook hamburgers and hot dogs. Or, you could even get a bonfire going (if you live outside city limits) and allow them to roast hot dogs and marshmallows. You may feel that your child is too young to have a full-blown sleep over, but that doesn’t mean they can’t have fun at a pajama party. You can ask parents to bring their kids over in their pj's or they can change into them at dusk, before its time to leave. Pajama parties often have fun finger foods for dinner and s’mores for dessert. You can also have a couple of movies on hand for the kids to watch until it’s time to go home. Another great slumber party idea is one where the kids stay up playing games for as long as they want. A few examples include: Xbox/Wii games, Frisbee, Flag Football, Sorry, Scrabble and other board games. You should visit the HOME PAGE if you want to find more fun guides for things like how to plan a slumber party kids section that you read here.